While nearly all government-backed mortgage guarantors provide a wide range of disaster relief programs, perhaps none are quite as unique and diverse in their offering as the Small Business Administration (SBA). Most mortgage lenders and servicers have been working hard to stay abreast of updated disaster relief requirements for Fannie Mae, Freddie Mac, the Federal Housing Administration (FHA), the Department of Veterans Affairs (VA) and the US Department of Agriculture (USDA), but not as many are aware of the extensive options available to SBA customers, not to mention that the SBA administers their programs directly. SBA’s Disaster Loan Program extends beyond just homeowner assistance, providing relief to renters, businesses and nonprofit organizations. The program serves as the primary source of federal funds for long-term disaster assistance. Since the program’s inception in 1953, SBA has extended over $50 billion in low-interest disaster loans to more than 1.9 million homeowners, renters, businesses and nonprofit organizations. Lenders and servicers with existing SBA loans should be prepared to inform customers on their ability to take advantage of automatic deferment of payments if impacted by disaster. Households and businesses located in federal disaster areas are eligible for a 12-month deferral of principal and interest payments on SBA loans. Even households and businesses located near disaster areas can benefit from payment relief options. Borrowers in “contiguous counties” to federal disaster areas may be eligible for a 9-month deferral. In addition to payment deferment for existing loans, the SBA offers three freestanding disaster loan options. Business Physical Disaster Loans can be used to make repairs, or replace damaged business property, including real estate, inventory, supplies, machinery and equipment. Subject to property eligibility, collateral and borrower criteria, businesses may be eligible for up to $2,000,000 in relief. The SBA’s Economic Injury Disaster Loans provide working capital for businesses to assist them in maintaining operations following a disaster. For homeowners, Home Disaster Loans can be used to repair or replace property damage incurred as a result of a disaster. Home Disaster Loans will cover up to $200,000 for repairs not covered by insurance. An additional $40,000 is available to repair or replace damaged personal property, including clothing, furniture, appliances and vehicles. 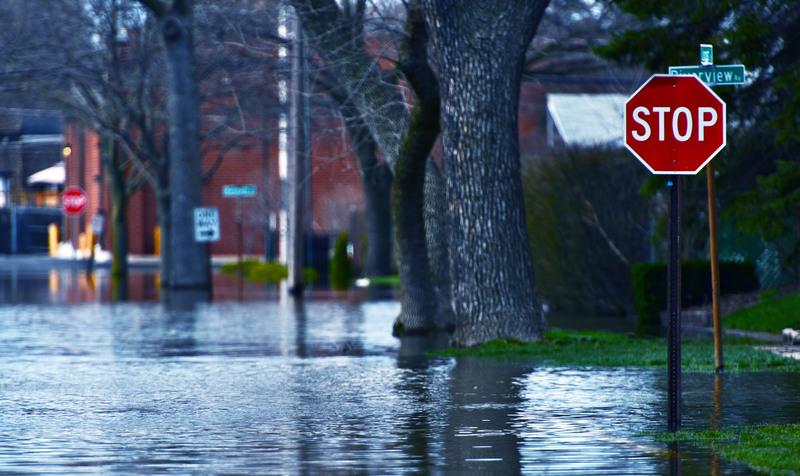 On top of SBA’s three robust Disaster Loan Programs, well-versed lenders and servicers can inform borrowers on the availability of additional mitigation funds, refinance programs and relocation loans. The SBA can help and has laid out specific guidelines for documentation, interest rate and loan term calculation and eligibility. Basic knowledge of the scope of SBA’s disaster assistance will promote borrower understanding on how to secure relief that may not be available through other government-backed mortgage guarantors. The SBA administers their unique set of options for your corresponding borrowers directly. It’s important to know when these options are available and what they entail in order to respond to borrower inquiries when disaster strikes. Assisting your SBA borrowers in understanding the disaster relief alternatives available to them can be a tremendous selling point and will exemplify your dedication to being a service-oriented lender. Conversely, helping your borrowers comprehend these benefits and tracking communications can be a bit of an undertaking, but Clarifire can help. Today’s disaster relief landscape is extensive with numerous investor guidelines, multiple product options and rigorous timelines that must be enacted with little advance notice. 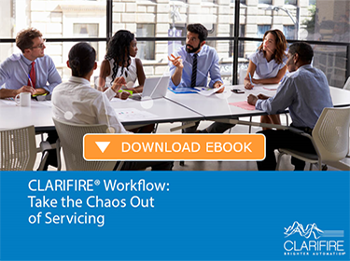 CLARIFIRE® provides a sophisticated workflow and loan decisioning engine platform that automates the complex requirements for disaster programs, managing extensive rules, events and exceptions with flexibility and reliability. Position your organization to successfully navigate this challenging environment by visiting eClarifire.com, or contact us directly at 866.222.3370.